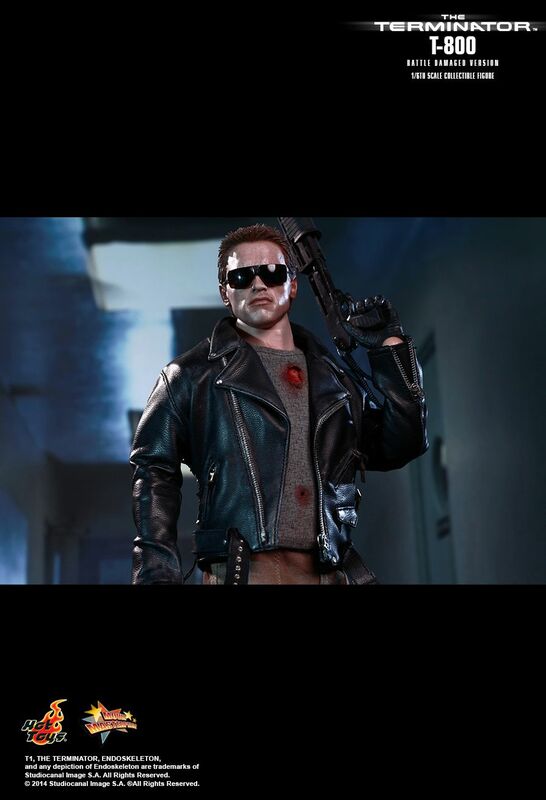 “I’ll be back”. 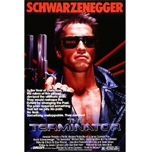 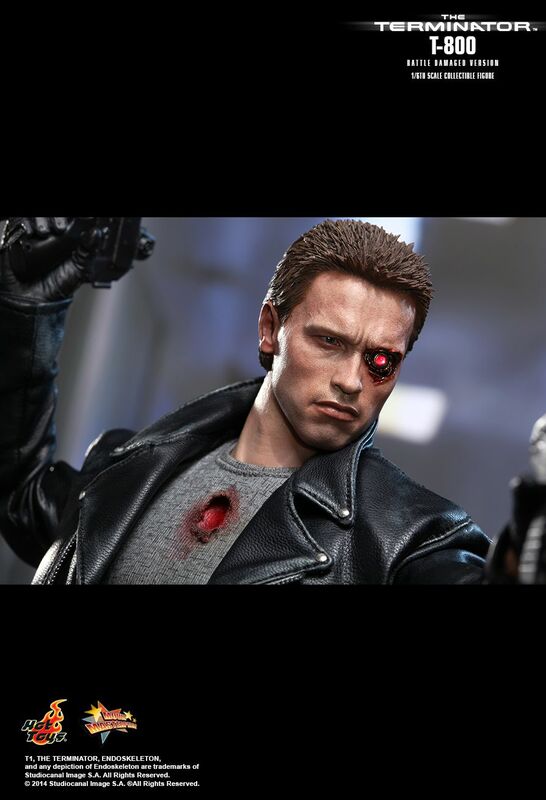 Arnold Schwarzenegger’s iconic portrayal of the cyborg assassin in The Terminator has remained a forever classic in popular culture and among fans! 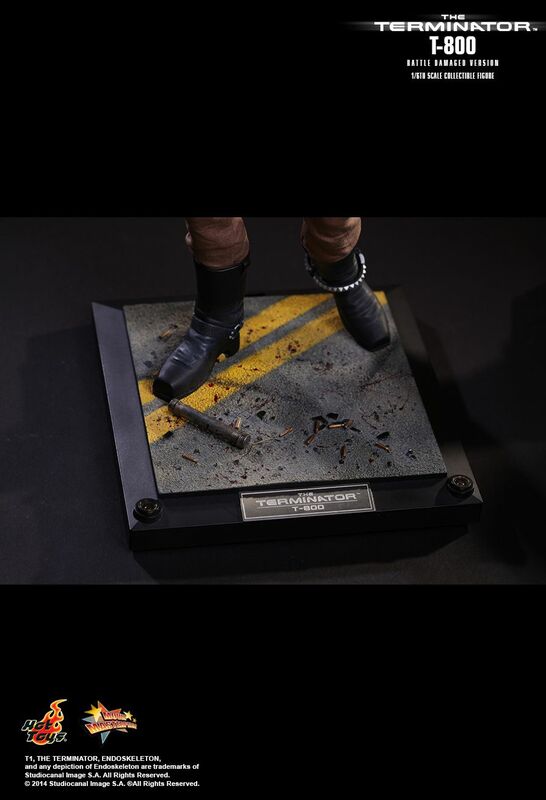 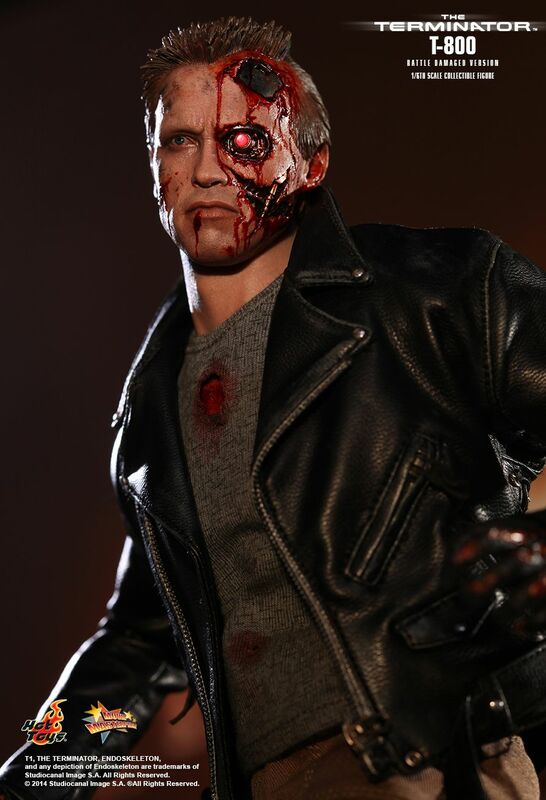 Hot Toys is revisiting the motion picture that has started the Terminator saga by proudly presenting the 1/6th scale T-800 (Battle Damaged Version) Collectible Figure from The Terminator. 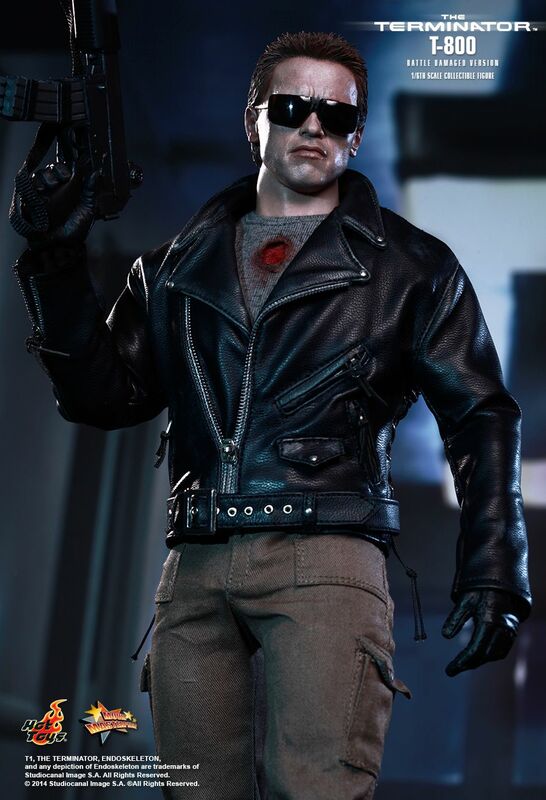 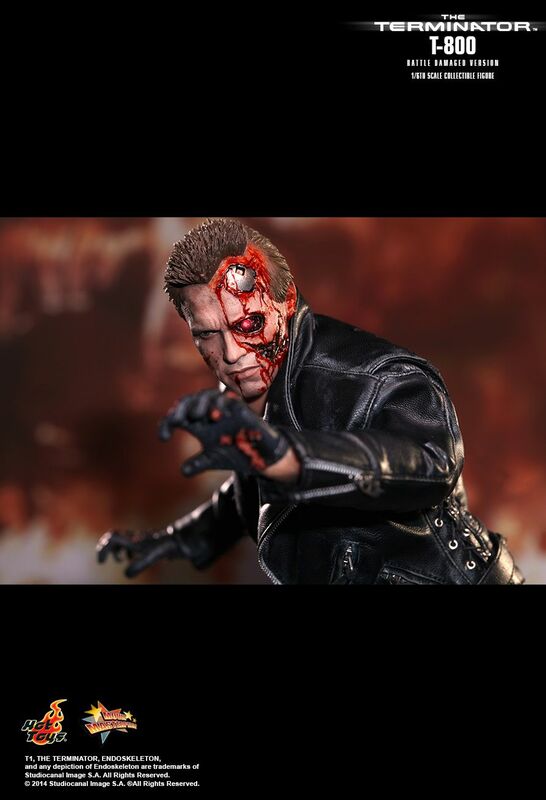 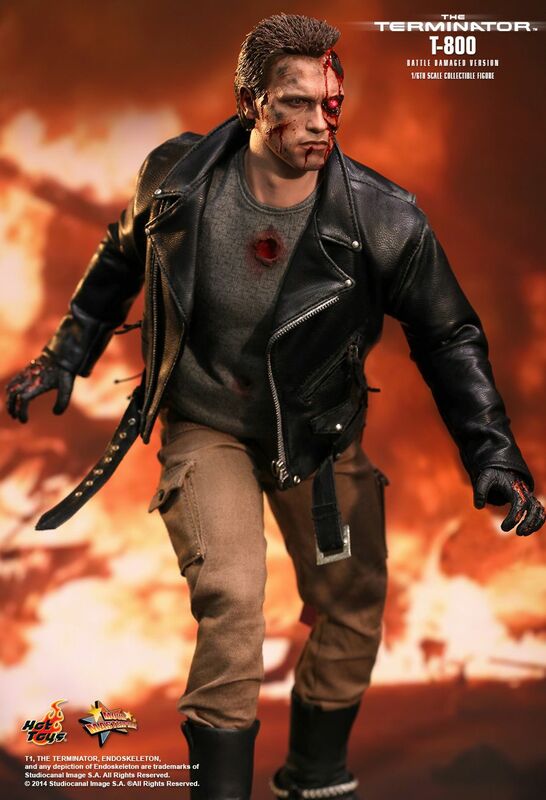 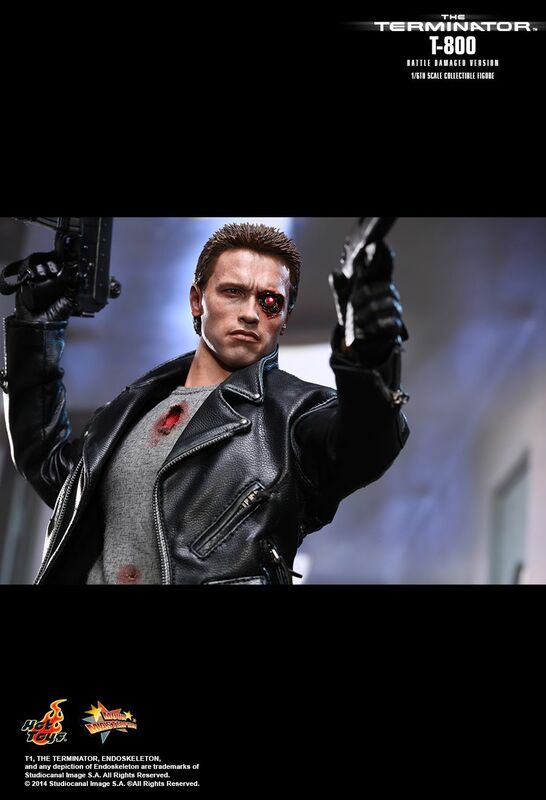 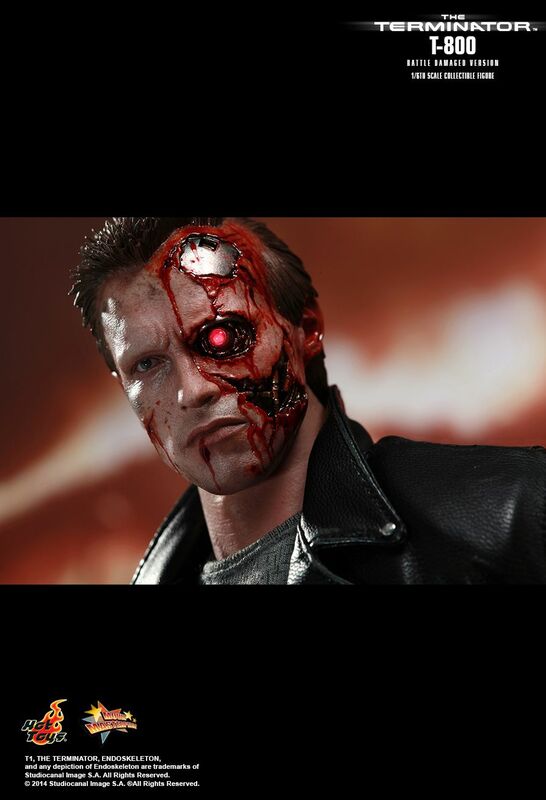 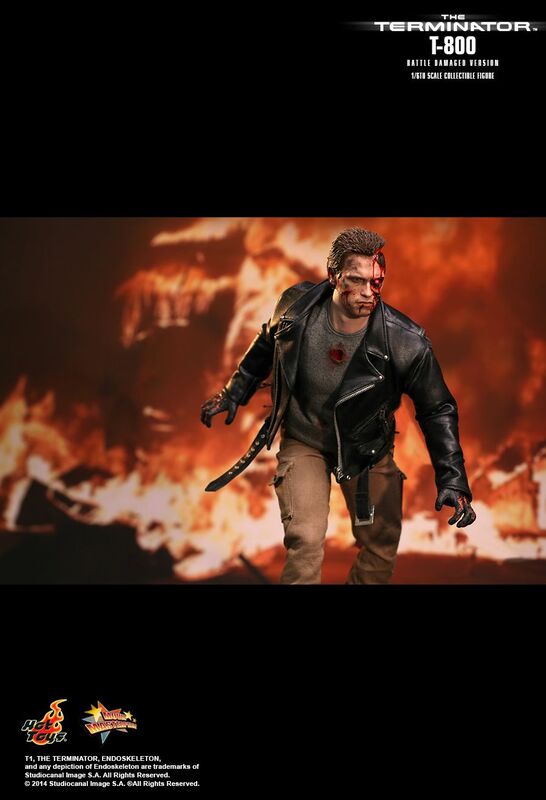 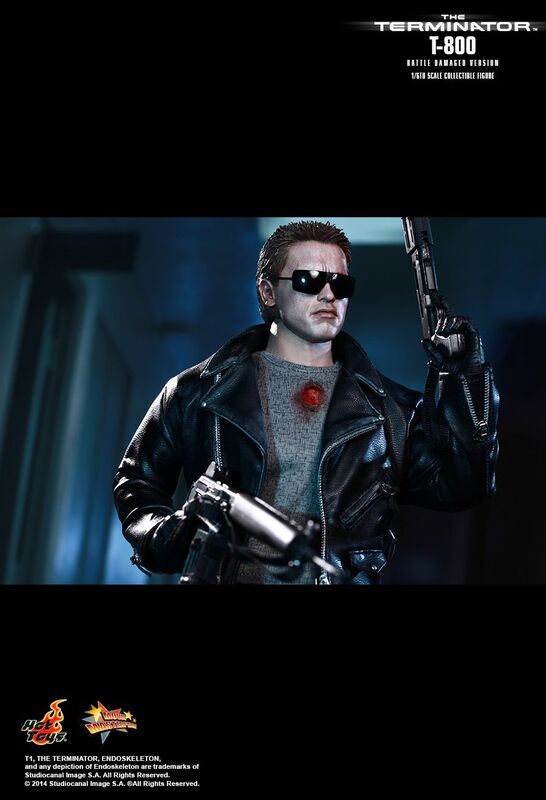 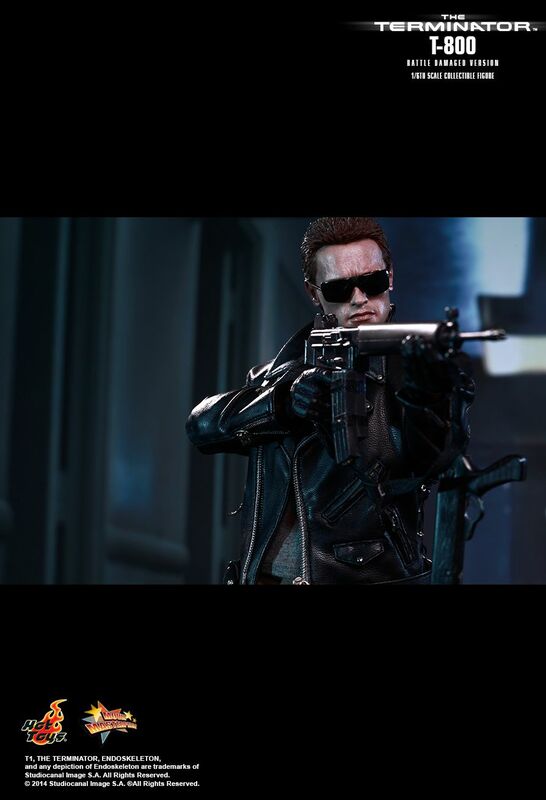 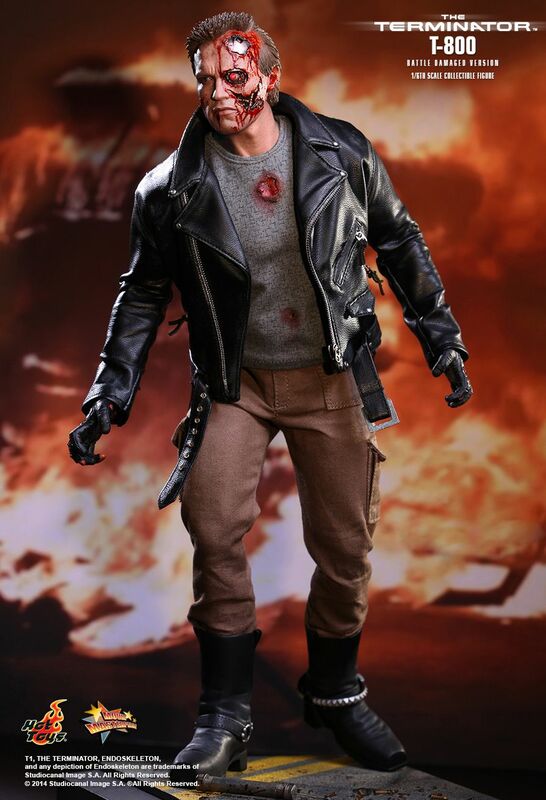 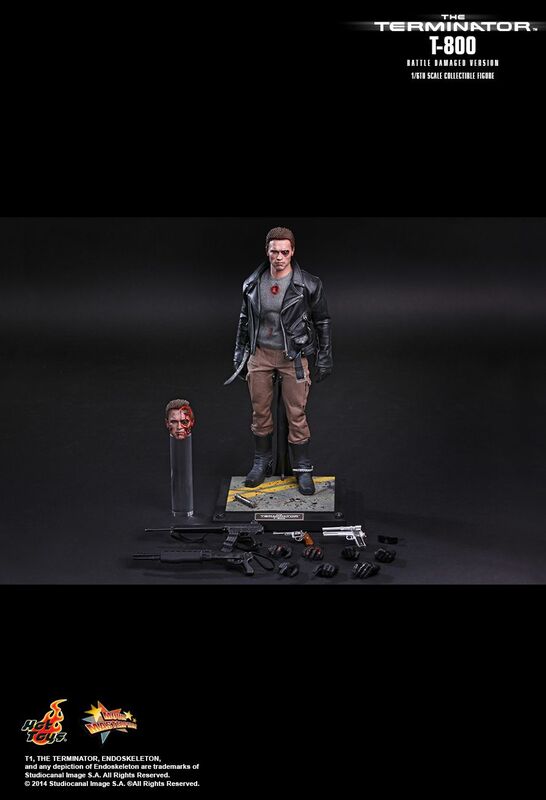 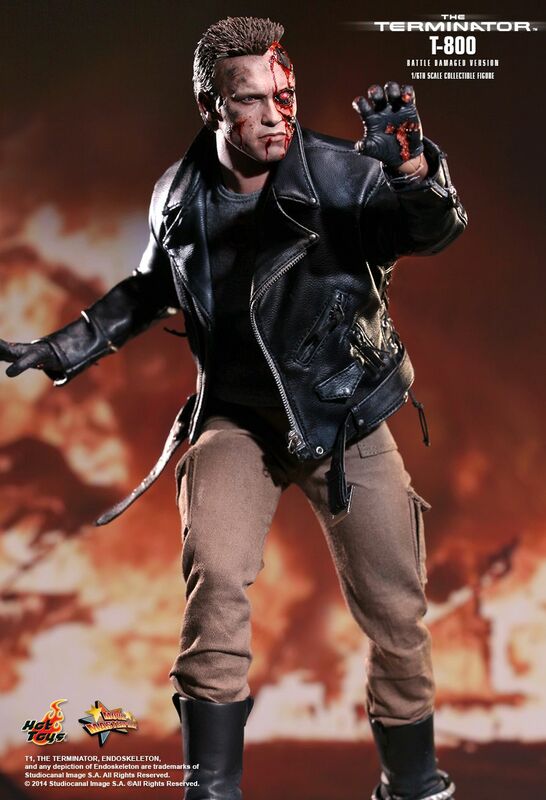 The T-800 collectible is specially crafted based on the image of Arnold Schwarzenegger in battle damaged look from the movie featuring two battle damaged head sculpts with red LED light up left eyeball, leather-like jacket, as well as detailed weapons and a specially crafted diorama figure base.